We were lucky enough to have a great sale on blueberries recently. I have been putting them in everything - smoothies, steel cut oats, and of course, for Sunday breakfast, I made blueberry muffins. This was a great recipe I found online. They had a lot of blueberries in it, next time I will probably cut it down to a cup. yummy! These look great. 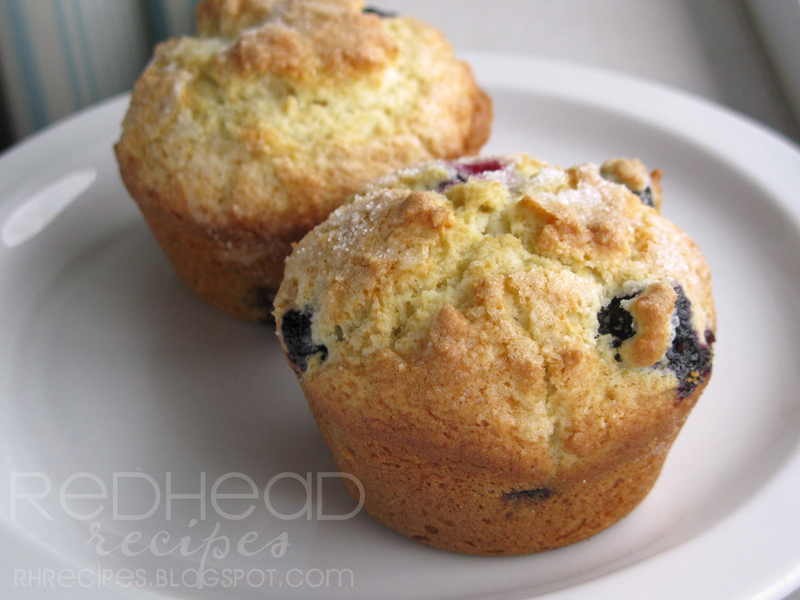 I love blueberries in the summer but I freeze some and it's always nice to make muffins. ces muffins sont tout simplement magnifiques ma cher amie, super beaux j'emporte la recette avec moi, merci pour ce beaux et délicieux partage. The muffins were super yummy- thanks for sharing the recipe!